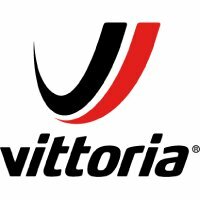 Vittoria Goma Wire Bead Tyre 29"
The Vittoria Goma pro race endorsed trail/enduro mountain bike tyre enjoys a growing reputation for its exceptionally fast but grippy rubber. Ultimate Enduro race tyre, with super-grippy compound and technical tread optimized for fast descending with tactile handling and braking. From enduro podiums to technical trail riding, the Goma is your choice for long lasting, dependable performance. Starting with the large surface area knob profile, the Goma offers unmatched durability in hardpack and rock conditions. Each knob is then equipped with directional siping that flexes under load, providing traction in cornering as well as braking. The most fun XC tyre or the fastest rolling trail tire? The Goma blends the best of both worlds. Why choose when you can have it all?